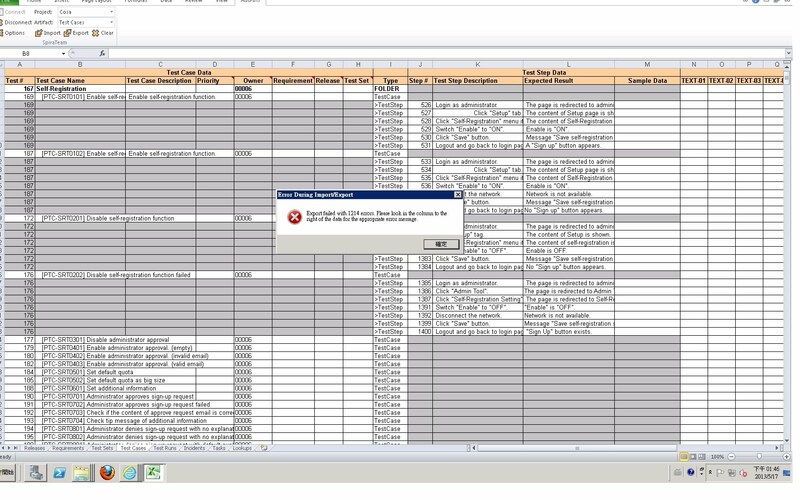 from excel import to spira test error!!!!! Could you log a Help Desk ticket for this? (Send an email to support@inflectra.com. Or go to www.inflectra.com/supoort click on Help Desk ) Please include the text of the error message.